Betta fish fin loss has a lot of different causes and you don’t have to worry about every one of them. However, it is important to know what all the different causes could be as well as how to treat and prevent them! So keep reading to find out everything you need to know! 1 What Causes Betta Fish Fin Loss? 4 Will A Bettas Fins Grow Back? 5 How Long Does It Take For A Bettas Fins To Grow Back? 6 How To Tell If Fins Are Growing Back? What Causes Betta Fish Fin Loss? There are so many different reasons your betta could be suffering from fin loss. Before you can begin any kind of treatment it’s important to know what’s behind it. 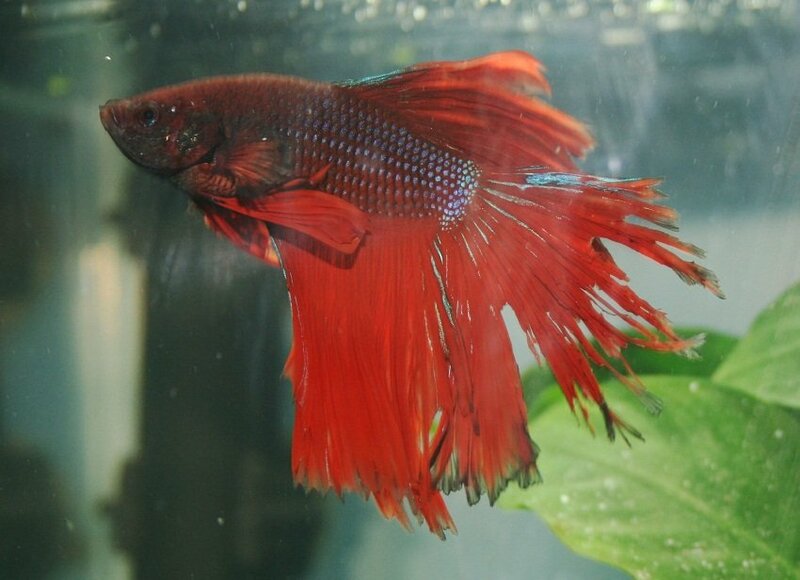 So here are some of the most common reasons your betta may be losing his fins. If you’ve got particularly sharp or rough decorations in your tank then they may be causing fin loss. One of the problems with a bettas fins and tail is how easily they snag on things. If you’ve got rough, sharp stones in your tank, or an area where he can catch his fins, then they may be ripping chunks out. Your betta may also be biting his own tail. There are a lot of reasons that this could be occurring such as stress, pent up aggression, boredom and some people even think it could be hereditary. Fin loss of this nature will happen extremely rapidly. It’s not unheard of for half of a betta’s tail to disappear overnight! If you noticed your betta tail biting then you should find ways to prevent it as soon as possible. This article on tail biting will teach you everything you need to know! Are you housing your betta alone or with other fish? If you’re housing your betta with other fish then you should check to make sure none of them are attacking him. It’s not uncommon for smaller faster fish to fin nip and harass your betta. While his fins look beautiful to us but in a tank, they can slow him down. 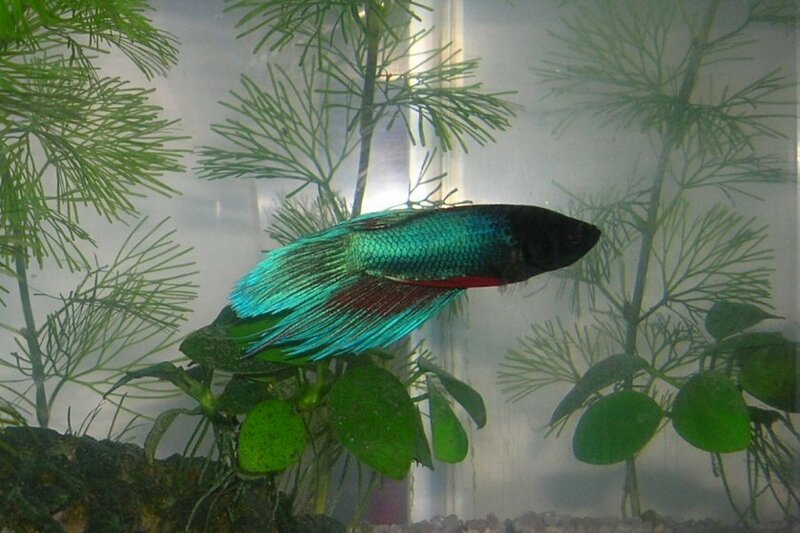 And of course, one of the most common causes of fin loss in bettas is fin rot. Fin rot is a bacterial infection that slowly begins eating away at your betta’s fins. If left untreated fin rot will go all the way down to the body, which will then begin rotting. If your betta is at this stage then it’s going to be a lot harder to treat him. Although, not impossible. You’ll be able to tell it’s fin rot by the other symptoms associated with it. Such as the fins look sore, they may have a white edge, or appear different in color. If you think your betta is suffering from fin rot then here’s what you need to do to treat it. 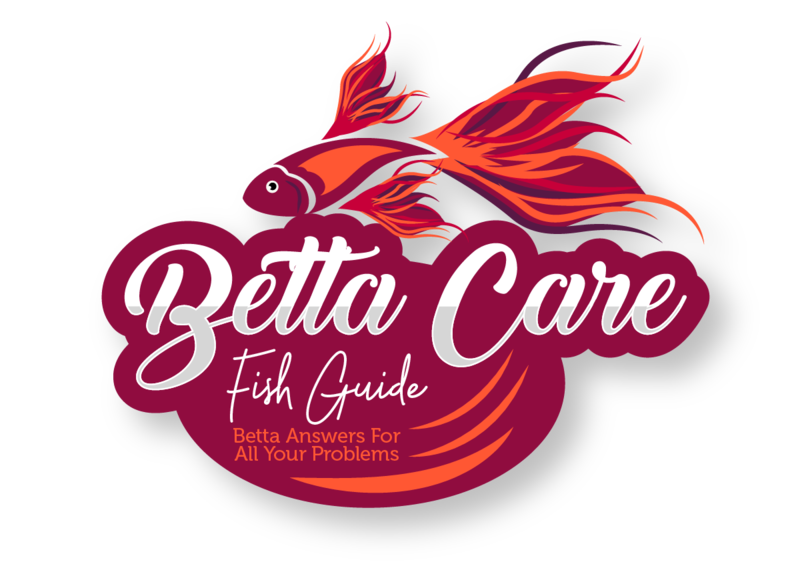 Now that you know the most common reasons your betta is suffering from fin loss the next step is to figure out what to do to fix it. If it’s not being caused by fin rot or any other infection then you can normally leave it and it will heal in its own time (if you’re cleaning and maintaining your tank regularly). However, if you want to speed things up a bit, here are some of the best ways you can treat betta fish fin loss and give your fish a speedy recovery! One of the most important things you can do is make sure that the water your betta is of good quality. While you should be doing this anyway, it’s extra important if your betta is suffering from fin loss, as he’ll be more prone to infection. To keep the water quality high you should be performing water changes more often. Changing about 10% of the water daily or every other day is a great way to start. As well as that, you should also be testing the water regularly to make sure that it’s got no ammonia in it. If there is ammonia it’s going to slowly poison your betta and if it doesn’t kill him it will weaken his immune system. And lastly, make sure you’re housing your betta in a tank that’s suitable for him. There’s a lot of information that suggests you can keep bettas in fish bowls and tanks that are as small as 1 gallon in size, but it simply isn’t true. You should be keeping your betta in a tank that’s 5 gallons or bigger. As well as this it should also have a heater, filter, and lots of hiding places. If you don’t do this then you’re betta is more likely to be stressed or depressed, both of which are going to weaken his immune system and make him more susceptible to fin rot as well as other illnesses. On top of that, it’s harder to control the parameters of a smaller tank. And if the parameters change too quick it will also have a detrimental effect on a bettas immune system. While it’s not 100% certain whether daphnia can help betta fish fin loss, there’s no harm in feeding him them anyway as part of a balanced diet. But it’s believed that foods that are high in vitamin B such as daphnia are able to improve fin regeneration as well as speed up the rate at which fins grow back. You could also try adding aquarium salt to the tank as well. Adding aquarium salt to your tank is going to improve your bettas slime coat. Making sure your betta’s slime coat is strong when his fins are damaged is paramount as it’s going to help repel parasites, bacteria and fungal infections! If you don’t fancy adding aquarium salt then you can also try API Stress Coat. It’s a water conditioner that also doubles up as a stress reliever for your betta. This stress relief is going to reduce the chances of him tail biting due to stress. And on top of that, it’s also going to help improve his slime coat as well! If you think your betta is suffering from fin rot caused by fungus then you should use Pimafix and if you think it’s caused by bacteria then you should use Furan 2. To find out how to tell what it’s being caused by here’s some helpful information about fin rot. Will A Bettas Fins Grow Back? If you make sure that you’re looking after the tank and you’re doing everything you can to heal your betta then his fins should grow back. However, remember that while the fin is growing it’s going to be extremely fragile, and more likely to become damaged again. How Long Does It Take For A Bettas Fins To Grow Back? Fin growth can take anywhere from a few weeks to a few months depending on the severity of it. In general, the fin is going to grow at the same rate as your fingernail. However, because it’s likely that your betta will accidentally damage his fins during the healing process it will take longer. So don’t worry if your betta’s fins are taking a while to heal. As long as they look like they’re getting better and they’re definitely not getting worse then keep doing what you’re doing. How To Tell If Fins Are Growing Back? You can tell if the fins are growing back by looking closely at them. If you notice a clear membrane growing on the end of your betta’s fins then this is the regrowth. It looks very similar to saran wrap and it’s extremely fragile. The longer this happens the more you’ll begin to notice the clear membrane gaining color, however, you should know that often times the color will be different from the original one. The best thing you can do is try to prevent fin loss in your betta from happening in the first place. Luckily there are a few things you can do. If you’ve bought a decoration that has sharp edges or is extremely rough then you shouldn’t add it to your tank. Add decorations with smooth sides and lots of live plants. Your betta will love them and they’re not going to damage him at all. You should avoid adding fish that are going to be aggressive to your betta and fin nip. If you do want to add more fish, then you should have a plan for what you’re going to do with them if they’re not going to be peaceful. The two best options are to have a spare tank ready or buy a tank divider. And of course, you should make sure you’re keeping the water quality good as treatment and as prevention. So monitor the nitrates and perform regular water changes to reduce the chance of infections. Lastly, you should make sure that your betta is entertained. Bettas are intelligent fish and they can become bored. Boredom can result in pent up frustration which they may take out on themselves and begin tail biting. Rough decorations in the tank, tail biting, other fish and fin rot can all be reasons that cause fin loss to occur. To treat fin rot you should make sure you’re keeping the water quality in your tank good, feed him lots of daphnia so he gets enough vitamin B, add aquarium salt or API Stress Coat to improve healing, and in the case of fin rot use an antibacterial medication like Furan 2 or an antifungal like Pimafix. If you take good care of your betta his fins will grow back, however, during healing they are going to be very fragile. The time it takes for your betta’s fins to grow back depends on how severe the damage is. Generally, they grow as quick as a fingernail takes to grow. You can tell if the fins are growing back by looking for a transparent membrane at the very edge of the damage. To prevent fin loss add the right decorations such as live plants, don’t add aggressive fish to the tank, keep the water quality high and make sure your betta isn’t getting bored! If you have any more questions leave them below otherwise make sure you check out the rest of the website!